Hi Made it on Monday readers!! I am soooo excited to be stopping by while Jill is at camp!! My name is Natalie but my friends all call me Nat. 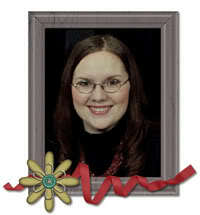 My little blog is called Nat Mac's Knick Knacks. 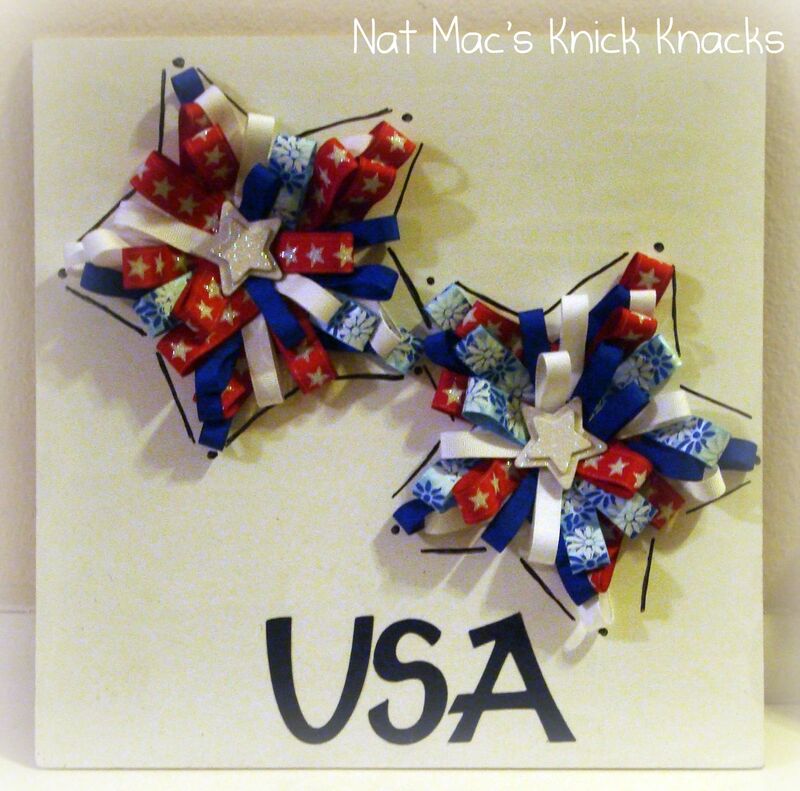 Today I'm going to show you how to make a super cute and cheap patriotic craft. Back in February I was inspired by a ribbon wreath I saw at Tatertots and Jello and She's Kinda Crafty. I made a version that looked like a heart. Today we are going to make *star*. The first step I had to do was paint the tile I was using. If you want to make it really easy for yourself, you could purchase an already white item. I like to make things difficult for myself though. Next take your scrapbook paper and cut out two star shapes. I used my george and basic shapes cartridge for the cricut on mine. Now that the easy part is done it's time for the ribbon. Not going to lie this part takes a little more time. Take your ribbon and cut 70, 4 inch strips. After the strips are cut hot glue the ends together. Separate the ribbons into two piles. One for each star. Take your ribbons and start gluing them onto the templates. Start at each point on the star and work your way to the middle. Try and place the ribbons on as randomly as possible. That part is always difficult for me LOL. Place your star embellishment in the middle of both the stars. Hot glue the finished stars onto the surface you are putting them on. If you want the stars to pop a bit more, take a black marker and trace around them. The final final step is write something patriotic at the bottom with the alphabet letters. I used my cricut again but stickers would work just as well. See isn't that darling!! Go gather up some supplies so you can make one too. Well ladies it was fun hanging out with you today!! I'd love for you to come over to my little blog and say hi! A big thanks to Jill for letting me stop by! interesting project! Might have to give this one a try!